To help provide insight into the recent article published in Bioanalysis: Approaches to measure protein binding of enzymatically unstable compounds in plasma, we spoke with author Zhengqi Ye, Bioanalytical Scientist at Vertex Pharmaceuticals (MA, USA). Zhengqi explains why she felt this was an important area for bioanalysis and worthy of publication. 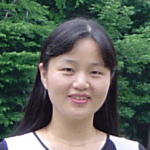 With 12 years of experience in bioanalysis, Zhengqi has focused her research on protein binding assays for 5 years. During my PhD study, I discovered my interest in the analysis of organic compounds using liquid chromatography mass spectrometry (LC–MS). I was intrigued by the matrix effects in LC–MS analysis, which impacted accuracy and precision of the data. After graduating, I was able to further pursue my interest in analytical chemistry in the field of drug discovery and bioanalysis. I analyzed a variety of small molecules and drug candidates, and conducted research on minimizing matrix interferences in LC–MS analysis of biological samples. Later, I got the opportunity to work on ADME assays including protein binding. The drug’s unbound fraction in plasma is an important parameter for developing PK/PD relationships, projecting human efficacious dose and predicting drug–drug interaction potential. It can be challenging to obtain accurate data for compounds with issues such as plasma instability or non-specific binding to assay apparatus. It is a motivation for me to work on the issues and improve the data quality of protein binding assays. Meanwhile, it is also inspirational to work in drug discovery as we are making every effort to create transformative medicines for treating serious diseases. This publication aims to improve the plasma protein binding (PPB) assay of enzymatically unstable compounds by preincubating the plasma with an enzyme inhibitor for stabilizing the compounds during PPB assay and using ultrafiltration as an alternative, complementary method with regards to equilibrium dialysis. We hope the methodologies and approaches discussed in the paper can be helpful to fellow scientists working on PPB assays of unstable compounds that are subject to hydrolysis by carboxylesterases or other types of enzymes, or assays of compounds with other challenging properties. 3. Are there any researchers/projects/technologies that you are watching at the moment, and any you think we should be keeping an eye on? I am interested in the various techniques for estimating and measuring unbound drug concentration in tissue for studying drug distribution in tissue compartments. I also keep an eye on the research on prediction of tissue-to-plasma unbound drug concentration ratios using in vitro methods. I am also interested in assay automation using robotic liquid handling systems and following the advances in LC–MS instrumentation for qualitative and quantitative bioanalysis. The technological advancement in mass spectrometry has greatly facilitated bioanalysis. The assay miniaturization (for example 96-well format) and automation has also increased the throughput for compound screening in drug discovery studies. However, there are still many issues and challenges that need to be addressed. As a bioanalytical scientist working in a fast-paced drug discovery setting, it is important to get extensive hands-on experience and provide timely support to the projects, identify issues during routine or research work and investigate approaches to improve assay performance while maintaining and enhancing workflow efficiency.